Via Hope is a Texas nonprofit that works to transform the mental health system into one that fosters resilience, promotes recovery, and is person, youth, and family driven. They provide training and consultation to individuals in recovery, family members, and mental health professionals and organizations.  Via Hope promotes patient advocacy through person-centered recovery planning (PCRP), a recovery-oriented approach to care directed by patients in collaboration with providers and other supporters. This partnership is considered critical to a patient’s recovery. More than a curriculum, PCRP is a philosophy toward care that’s less directive and more collaborative than traditional methods of therapy, and it was crucial to Via Hope that we accurately reflect this mindset in both the course content and the content’s presentation. Thus, the delivery of program content was just as important as the content itself. 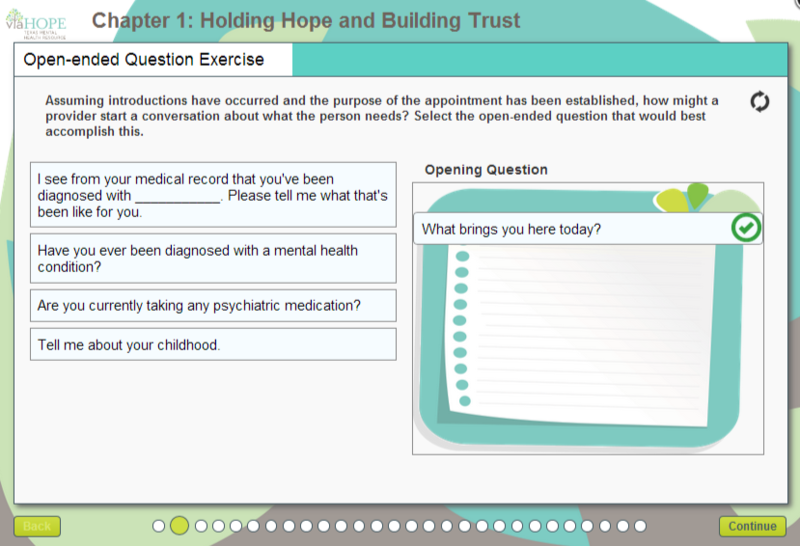 With funding from the Texas Department of State Health Services’ Mental Health and Substance Abuse Division, Via Hope partnered with 3C Institute to develop the training website viahopeonlinelearning.org. Every step of the way, we helped Via Hope figure out how best to showcase their training online. We worked closely with them throughout the development process to understand their content and create a course experience that reflects both the collaborative philosophy of the curriculum itself through a partnership between the instructor and the learner. Likewise, the PCRP approach was reflected in the ongoing collaboration between Via Hope’s subject matter experts and 3C Institute’s interdisciplinary team of editors, artists, web developers, and video producers. Together, Via Hope and 3C Institute are proud this collaboration resulted in an informative and engaging learning experience that encompasses the PCRP approach in both its content and delivery. Via Hope cited their trust in us, our sense of humor and patience, and the positive group dynamic as fostering this successful partnership. Via Hope plans to feature the website and courses at upcoming conferences and continues to partner with us to expand the training series. help you develop an effective online intervention.